Stay Cool with Central Air Conditioning vs. Air Conditioning Units: Which To Choose? Summer is a time for beaches, picnics and enjoying the warmer weather. But for most of us, we also want to cool off too. Summer can get muggy, sticky and too hot – with temperatures in some U.S.A. states reaching a steamy 110 degrees! So it’s important to plan ahead and think about installing air conditioning. There are 2 types you can choose: air conditioning units and central air conditioning. AC is important to a lot of families and individuals, 87% of homes have air conditioning, in the U.S. that’s almost 100 million homes staying cool in the summer heat! 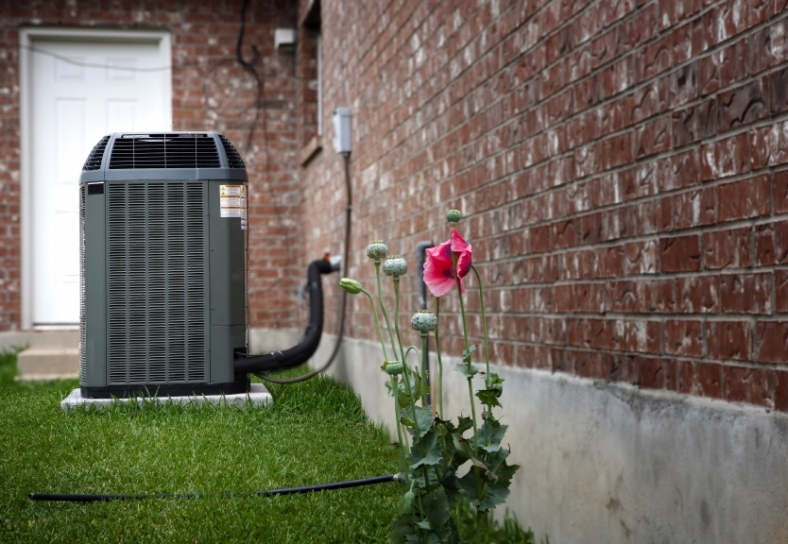 Many like central air conditioning because it keeps their entire home comfortable and cool. Keep in mind that it is installed so that it reaches every room in your home. There is a condenser, most often kept on the roof or in the backyard. Pipes deliver coolant to an air handler which is most often near the furnace, in the basement. Then frosty air travels through the duct system, making its way to each room in the house. The U.S. Energy Information Administration states that 95 percent of homes built during the 2000s have central air installed. This is no surprise as it is one of the top things home buyers look for when they are making this big ticket purchase of moving to a new home. Disadvantages: Most who have central air conditioning are very pleased with how it works. It can be vulnerable in one way at times, cooled air sometimes can leak through the ducts so it does not reach individual rooms as successfully. So you do not get as much cooled air as you would hope to, this then requires a repair. Another challenge some face with central air conditioning is more personal, simply dealing with room temperatures and each family member. Your cool air will come through to all the rooms at 1 temperature. Not every family member is going to want to be the same amount of cold most often, so this can cause some squabbling over being too cold or too hot. Advantages: Especially if you are in a warmer (Southern or West) part of the U.S.A., then you know the temperatures truly can rise. Getting a house cooled off can take a lot of time with individual air conditioning units, but not so with central air conditioning. Most also find central air conditioning a premium value for when they sell their home, something that home buyers are looking for. In your air conditioner there are several items which help it to create that delicious, frosty air we all look forward to at the end of a long day at work. A condenser, thermostat, evaporator and some fans which help to move cool air along through the room. Air conditioning units are typically installed under a window. Disadvantages: Simply put, an air conditioning unit will not cool as much space as a central air conditioning system. If you are hoping to cool off an entire house, doing so with air conditioning units will not work as well and will take a lot longer. You will be working your air conditioning units a lot harder than they are able to. If you have a large family, individual air conditioning units are only going to cool off each single room, this is something to keep in mind. Advantages: The air conditioning unit is the perfect choice for an individual or someone with a small house, condo or apartment. It also is a very good choice if you want to customize the temperature in each room. Choose the best one for your home and stay cool all summer!